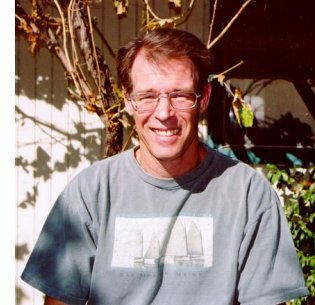 Kim Stanley Robinson's first novel, The Wild Shore (1984), won the Locus Award for Best First Novel and was the first book in his "Orange County" trilogy, followed by The Gold Coast (1988) and John W. Campbell Memorial Award-winning Pacific Edge (1990). His most celebrated novels form another trilogy, about the terraforming of Mars: Red Mars (1992), which won the Nebula, followed by Green Mars (1993) and Blue Mars (1996), which won the Hugo and Locus Awards. Other works include Antarctica (1997), inspired by his visit there as a writer-in-residence; and short stories, including Nebula-winning "The Blind Geometer" (1986) and World Fantasy Award-winning "Black Air" (1983), collected in The Planet on the Table (1986), Remaking History (1991) and UK Down and Out in the Year 2000 (1992). His newest novel is The Years of Rice and Salt, to be published in the US and UK in March, 2002. He lives in Davis, California. ��It was fun trying to imagine an alternative Scientific Revolution or birth of science. Without Europe, you still have to postulate that all these things would happen in the human story, either sooner or later. After that blossoming, certain things seem to inevitably follow. In fact, in the later chapters I began to feel almost out of control of my material. I wasn�t deciding so much as submitting to the logic of what had gone before. The full interview and biographical profile is published in the January 2002 issue of Locus Magazine.